FOGELSVILLE, PA. — MLB legend Pete Rose has been named the keynote speaker at the annual LifePath’s 18th annual Thanksgiving Benefits and Awards Luncheon to be held on Nov. 25 from 11 a.m. to 2:30 p.m at the Holiday Inn Conference Center in Fogelsville. Source: Lehigh Valley Live. The outstanding family award honors the Howalds’ dedication to LifePath on behalf of their late sister Leslie, a 22-year resident of LifePath group homes for the developmentally disabled. The annual luncheon assists LifePath in raising awareness of the needs of individuals with intellectual and physical disabilities. Last year’s luncheon was attended by 630 guests and grossed more than $189,000 in sponsorships and prizes to support LifePath’s programs and services, the agency said. LifePath’s services include residential and day programs, vocational training, respite care, life sharing and supported living, outpatient mental health services, early intervention and a pediatric care facility. Pete Rose played for the Cincinnati Reds from 1963 to 1986, and managed from 1984 to 1989. Rose, a switch hitter, is the all-time Major League leader in hits (4,256), games played (3,562), at-bats (14,053) and outs (10,328). He won three World Series rings, three batting titles, one Most Valuable Player Award, two Gold Gloves, the Rookie of the Year Award, and also made 18 All-Star appearances at an unequaled five different positions (2B, LF, RF, 3B & 1B). Sports Speakers 360 is a booking agent for pro athletes. 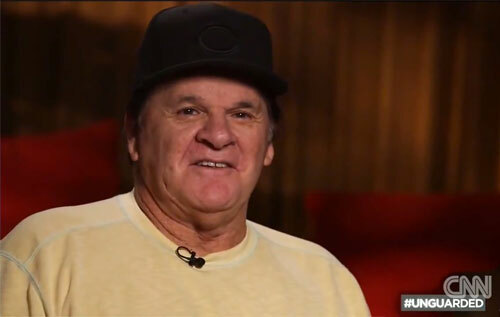 If you would like to book Pete Rose for a speaking engagement, appearance or endorsement, contact Pete Rose’s booking agent for fees at 1.855.303.5450.